Angle school of orthodontic treatment which started in 1899 adopted a non-extraction protocol in the treatment of various types of dental malocclusions [1-3]. However, this philosophy extended till Tweed defended extraction treatment protocol for different types of dentoalveolar malocclusions . Since then extraction and non-extraction treatment options are a matter of debate till our current time. The effect of extraction on the dentoalveolar system is still unclear [3,5-8]. Many investigators suggested that extraction in orthodontics may lead to arch collapse resulting in a narrower arch width. However other studies suggested that extraction treatment protocol to correct malocclusion will not result in arch narrowing compared to similar non-extraction groups. The only well accepted truth about extraction is that it will involve changes in the arch dimensions and these changes will continue until the end of treatment. Also, it is well documented that these changes in arch dimensions have an impact on the main goal of orthodontic treatment which is a long term stable occlusion [6,7,9,10]. In General, orthodontic treatment of Angle Class II dental malocclusions involving extraction will result in changes of arch dimensions and in incisors relationships, these changes should be put in consideration during space management planning and in the post-treatment retention protocol. In view of the above debate concerning extraction orthodontic treatment of Angle Class II dentoalveolar malocclusion, the current study was designed to clarify this point of interest in orthodontics. The current study was carried on 17 patients (14 females and 3 males) with Angle Class II dental malocclusion, Division 1 and 2. The patients were treated comprehensively at the Orthodontic clinic, Orthodontic Department, Faculty of Dental Medicine, Boys, Al-Azhar University, Cairo, Egypt. Patients were divided into two groups according to their Angle classification: Group A: 10 patients (9 females and 1 male) with Class II division 1 malocclusion. Group B: 7 patients (5 females and 2 males) with Class II division 2 malocclusion. Patients were included when their age ranged between 14 and 21 years old, has good oral hygiene, Indicated for 1st premolars extraction treatment protocol in the upper arch and in the lower arch if indicated, The eruption of all permanent teeth (3rd molar not included), All teeth are sound and in a good condition, The absence of any deviation from normal tooth shape, size or any other anomalies, Absence of any pathology related to dent-alveolar structure and No previous orthodontic treatment. All measurement was taken before treatment and post extraction and space closure in the upper arch. Incisor inclination measurements post extraction were removed from this study, to prevent taking any unnecessary X-rays to satisfy research objective, which was unacceptable from ethics and medico-legal point of view [11-13]. a) Inter-molar width: measured from the mesio-buccal cusp tip of one upper 1st molar to the mesio-buccal cusp tip of the other molar [10,14-16]. b) Inter-canine width: measured from one upper canine cusp tip to the other canine cusp tip [10,16-19]. a. Inter-molar width :(10,14-16) measured from the mesio-buccal cusp tip of one upper 1st molar to the mesio-buccal cusp tip of the other molar. b. Inter-canine width :(10,16-19) measured from one upper canine cusp tip to the other canine cusp tip. It was measured as the length of a brass wire extended from the mesial surface of the mesio-buccal cusp of the maxillary 1st molar on one side to the mesial surface of the mesio-buccal cusp of the maxillary 1st molar on the opposite side, passing over the buccal cusp tips of the premolars, tips of the canines and the incisor edge of the anterior teeth. Figure 2 NB In case of severely angulated or displaced canines or incisors arch form that reflects the majority of teeth was measured. Arch length: The length of the perpendicular from the tangent of the incise edges of the central incisors to the 3rd palatal rouge (middle of the line connecting the distal ends) [22-24] Figure 3. Figure 3: Arch length: (22-24) The length of the perpendicular from the tangent of the incise edges of the central incisors to the 3rd palatal rouge (middle of the line connecting the distal ends). 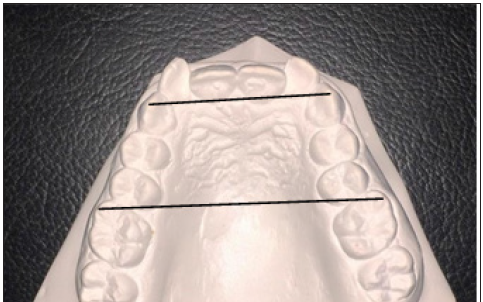 Arch depth: Maxillary depth was measured from a line which connects the occlusal plane at the mesial contact points of the maxillary 1st molars [15,25] Figure 4. 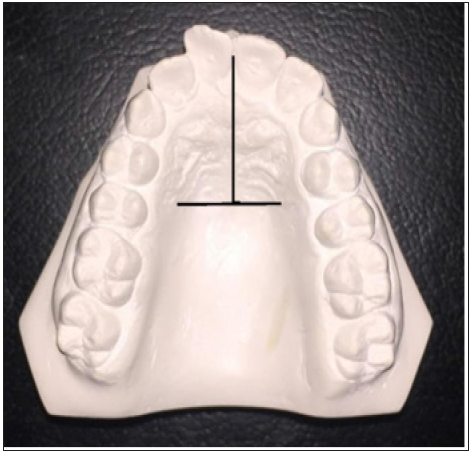 Figure 4: Arch depth: (15,25) Maxillary depth was measured from a line which connects the occlusal plane at the mesial contact points of the maxillary 1st molars. Incisor inclination was measured from Pre-treatment L a t e r a l view Cephalometric X-ray to the nearest 0.5 degrees. Where NTVL is the Nasion True vertical line passing through the Nasion point perpendicular to the floor to the nearest 0.1mm. a) Broken appointments of schedule visits to the extent that it affects the progress of the treatment. b) The patient did not strictly follow instructions for the maintenance of good oral hygiene. c) Broken appliance to the extent that it affects the progress of the treatment. Finally the results of the current study were based on the materials of a total number of 17 Class II orthodontic patients (10 division 1(9 females and 1 male) and 7 division 2(5 females and 2 males)) with mean age of 15.7 years old for division 1 and 15.1 for division 2 at the pre-treatment readings and mean 17.1 and 16.1 for division 1 and 2 respectively at the post-extraction readings. 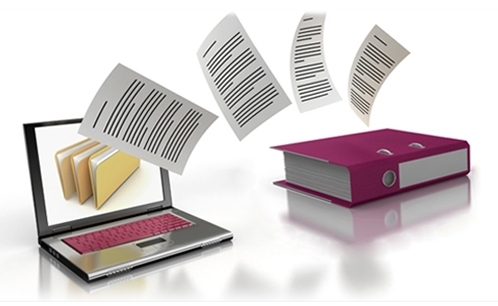 Statistical data analysis is shown in Tables 1-4. Table 1: Differences between Class II division 1 and division 2 for different Pre-treatment parameters measured in this study. Table 2: Differences between Class II division 1 and division 2 for different Post-extraction parameters measured in this study. Table 3: Differences between Class II division 1 for pre- treatment and post- extraction parameters measured in this study. P value is considered significant (S) if <0.05. For a long time, the effect of orthodontic extraction on dental arches was a matter of debate in orthodontic societies. Upon systematically searching the databases for the best clinical prospective studies investigating the effect of extraction of maxillary 1st premolars on division 1 and division 2 class II malocclusions, data revealed that there were multiple studies examining the effect of extraction on the Arch dimensions, However, they were mostly retrospective studies while prospective studies were very limited. The distinct separation between Class I and Class II extraction cases were also very limited in literature as they were usually pooled into one group. 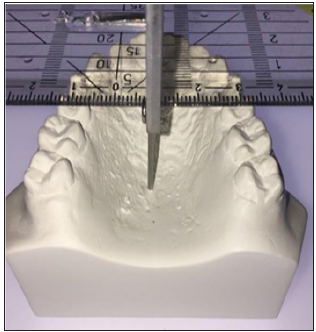 Hence, this study was designed to be a prospective study that investigates the changes in maxillary dental arch parameters concomitant to maxillary 1st premolar extraction in orthodontic treatment of Angle Class II dental malocclusion. The current study was carried on 17 randomly selected orthodontic patients with an age ranged between 14 and 20 years, with a mean age of 15.4 ±2.6 years. This age range was selected in such way in order to diminish as much as possible the gap in age between patients to ensure more or less the same biological response in all patients. In addition, adolescents and young adults were selected in order to neglect the effects of aging on the periodontium [26,27]. Number of male to female subjects in the research sample was very small (3 male and 14 female) therefore males and females were pooled together in each group. In this study, there was a no significant difference between the Class II division 1 group and the Class II division 2 group pretreatment Arch length measurements. However, generally class II division 1 showed increased arch length when compared to division 2 groups. These findings agree with the theory that increase in incisors angulation will cause an increase in arch length . When comparing our pretreatment results to another study  it showed no significant difference between the pretreatment arch length measurements of his Class I and Class II extraction and non-extraction groups. Also, there was a general increase in arch length of his extraction groups (either Class I or Class II). In regard to post- extraction difference between division 1 and division 2 measurements, our study showed no significant difference. Yet this was considered logical as all cases should be finished with a similar standard with preservation of arch parameters and shape [15,29]. This result agreed with other authors  where they showed similar post-treatment arch length measurements comparing the Class I and Class II extraction cases. However, they found a significant post-treatment difference when comparing their results to non–extraction cases. Also, it should be mentioned that his extraction group either Class I or Class II has generally more arch length than the non-extraction groups (class I and Class II) indicating that choice of extraction has to some extent a direct relation to the increase of arch length [15,20]. When comparing pre –treatment and post- extraction results for each division separately there was a significant change for the division 1 group with an average decrease of 1.97mm on the other hand division 2 showed a non-significant increase. In a study  where he compared non extraction with extraction, he showed that his extraction group (which included Class I and Class II pooled together) arch length has decreased significantly with treatment. The general trend of decrease agreed with our Class II division 1 group. However, our division 2 group showed a non-significant increase in arch length. 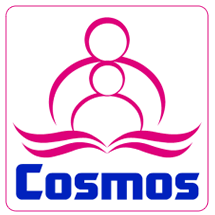 This disagreement may be because of pooling Class I and II cases in one group and due to lack of distinct differentiation between division 1 and 2 in his Class II cases. Another point was his way of measuring the arch length which can be easily affected by the final position of the 1st molar rather than the true change in the arch length and position of the incisors. Another study  compared Class II division 2 pre and post treatment arch length showed an increase in the maxillary arch length although they didn’t perform extraction in their subject. This shows that extraction decision affects the arch in a similar manner to the non-extraction decision . Arch width results were divided into inter-canine width and inter-molar width. Pre-treatment readings showed no significant difference in both inter-canine width and inter-molar width between class II division 1 and 2. This was also true for the postextraction arch width measurements comparing both groups. This was of similarity to the pre-treatment readings comparing Class I versus Class II division 1 only  and also was similar to studies that compared extraction versus non extraction cases (Class I and class II were sub grouped [6,20]. Arch width change from pre to post- extraction in Class II division I cases showed a significant increase in the Inter-canine width and no significant change in the inter-molar width. This might be attributed to the motion of the canines and anterior segment to a wider position in the dental arch. The inter-molar width was predicted to show no change due to the high anchorage demand in division 1 cases, which entitles little to no movement of the molars minimizing the change in the inter- molar width. The positive significant change in class II division 1 inter-canine width didn’t agree with some studies that showed a non significant change [5,20] and agreed with others that showed similar results regarding the inter-canine width for division 1 cases [3,6-8]. This contradictory result might be attributed to the frequent pooling of Class I and Class II cases or due to using different reference points for measuring this variable. When considering the non-significant change of inter-molar width for division 1 group showed in our study, it also showed variable agreement and disagreement with other studies in the literature. Where some studies showed an increase in the inter molar width after treatment [3,5,8], Other studies showed the opposite, where the inter-molar width showed a decrease after treatment [7,15,20,21] this might be due to lack of control of the researcher on the anchorage parameter or auxiliary devices (e.g. head gear, TPA) as the other studies were retrospective studies. However, some studies showed similar results to our study . The separation of Class II division 2 extraction cases was not very clear in the literature regarding Inter-canine width and inter-molar width during treatment with extraction of upper 1st premolars. Our study showed no significant change with both intercanine width and inter-molar width after extraction. This was not similar to most of the studies that pooled division 1 and division 2 cases in one Class II or extraction group. Where some showed an increase in inter-canine width and no significant increase in the inter-molar width  Others showed a decrease in the inter- molar width [15,20] while others showed an increase in the inter canine width and decrease in the inter-molar width  This difference should not only be attributed the pooling of the Classes but also to the different requirement in molar movement in different orthodontic extraction cases . In the current study when comparing the pre-treatment arch perimeter measurements between the two groups, there was a significant mean difference between division 1 and division 2 Class II malocclusion where division 1 showed a considerably significant increase in arch perimeter compared to division 2. In a similar manner when comparing the pretreatment arch perimeter measured from the cusp tips all around the arch between the extraction and non- extraction group  the mean arch perimeter was higher in the extraction group when compared to the non-extraction group. The same study showed no significant difference between the extraction and non-extraction groups in regard to the arch perimeter when the arch perimeter was measured along contact points of teeth. This illustrates the effect of teeth bucco-lingual inclination on the overall arch perimeter rather than their true position in space. Also, the way the arch perimeter is measured effect on final readings and interpretation. Regarding the comparison between the arch perimeter post-extraction measurements between division 1 and division 2 groups, our study showed no significant difference between both groups in the postextraction readings, which is logical as all cases were finished on similar standards with preservation of the original arch form to enhance stability [21,29]. When considering the amount of change from pre-treatment to post- extraction phases, the results of our study showed a significant decrease in the arch perimeter in the Class II division 1 with a mean of 6.41mm. This results coincide with the results of several authors who measured the amount of change in class II division 1 cases, [3,8] and also agrees with studies that considered extraction cases as one group where they included Class I and Class II case [21,30] and this agreement was expected as the extraction space was consumed during the treatment course allowing decrease in the maxillary arch perimeter. On the other hand, this agreement was not true in Class II division 2 cases although there was a general decrease in arch perimeter but it was statistically not significant. This disagreement could be due to the increased amount of crowding in Division 2 cases when compared to division 1 and some Class I cases . Arch depth in our study showed a non-significant difference between division 1 and division 2 Class II groups in either the pretreatment and post- extraction measurements. Also the amount of change in the class II division 1 and division 2 group from before to after treatment was not significant. Our results were contradictory to multiple studies were the palatal depth decreased with the extraction groups after treatment regardless if they were Class I, II, division 1 or 2 [31,32] this was mostly due to movement of the upper molars to a more anterior position in the extraction space, thus the molars as reference for arch depth became nearer to a shallower area of the palate. This didn’t happen in our study mostly due to the operator’s control on molars anchorage . Incisor inclination measurements were only considered for the Pre-treatment comparison between Class II division 1 and division 2, which showed an increase in the incise tip angle and distance from the NTVL in favor of the Class II division 1 group. However, the upper incisors apex showed nearly similar position pre- treatment in both groups considered in this study.This suggests that the incisors angulation is what distinct division 1 from division 2 rather than the bodily position of the teeth in the upper alveolus This shows that only incisors angulations is what differs the two groups rather than the bodily position of the teeth in the upper alveolus, which agrees with multiple studies in literature [33-35] Post-extraction measurements were not taken as taking another unnecessary X-ray was considered unethical if just to satisfy the research objective without any real benefit to the patients [11-13]. From the results of the present study we concluded that orthodontic treatment of Angle Class II dental malocclusions involving extraction will result in changes of arch dimensions and in incisors relationships, these changes should be put in consideration during space management planning and in the post-treatment retention protocol. a) There was no significant difference in all pre-treatment readings between Class II division 1 and division 2 groups except for Arch perimeter, Upper incisor angulations and upper incisor tip where they showed a statistically significant difference. b) There was no significant difference in the all postextraction readings between Class II division 1 and division 2 groups. d) Regarding the amount of change between pre and postextraction measurements in for Class II division 2 there were no significant differences for any of the parameters measured in this study. Kakar ME, Khan MA, Khan MS, Ashraf K, Kakar MA, et al. (2017) Prevalence of tick infestation in different breeds of cattle in balochistan. J Anim Plant Sci 27(3): 797-802. Case CS (1964) The question of extraction in orthodontia. Am J Orthod 50(9): 660-691. Bishara SE, Cummins DM, Zaher AR (1997) Treatment and posttreatment changes in patients with Class II, Division 1 malocclusion after extraction and nonextraction treatment. Am J Orthod Dentofac Orthop 111(1): 18- 27. Tweed CH (1994) Indications for the extraction of teeth in orthodontic procedure. Am J Orthod Oral Surg 30(8): 405-428. Luppanapornlarp S, Johnston LE (1993) The effects of premolarextraction: a long-term comparison of outcomes in clear-cut extraction and non extraction Class II patients. Angle Orthodontist 63(4): 257-272. 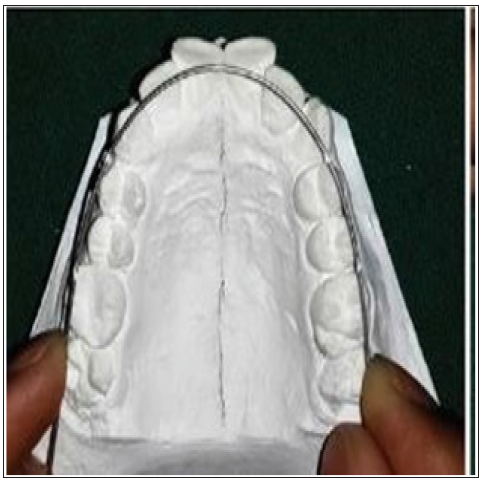 Gianelly AA (2003) Arch width after extraction and nonextraction treatment. Am J Orthod Dentofac Orthop 123(1): 25-28. Kim E, Gianelly AA (2003) Extraction vs nonextraction: Arch widths and smile esthetics. Angle Orthod 73(4): 354-358. Bishara SE, Bayati P, Zaher AR, Jakobsen JR (1994) Comparisons of the dental arch changes in patients with Class II, division 1 malocclusions: extraction vs non extraction treatments. Angle Orthod 64(5): 351-358. Golwalkar SA, Shetty V (2013) Arch Widths after Extraction and Nonextraction Treatment in Class I Patients. Vikranth Shetty J Contemp Dent Pr 14(2): 312-315. Aksu M, Kocadereli I (2005) Arch Width Changes in Extraction and Nonextraction Treatment in class I. Angle Orthod 75(6): 948-952. Heil A, Gonzalez EL, Hilgenfeld T, Kickingereder P, Bendszus M, et al. (2017) Lateral cephalometric analysis for treatment planning in orthodontics based on MRI compared with radiographs: A feasibility study in children and adolescents. PLoS One 12(3): e0174524. American Academy of Pediatric Dentistry A (2015) Guideline on prescribing dental radiographs for infants, children, adolescents, and persons with special health care needs. Endorsements, Ref Man 2015- 2016. 37(6): 319-321. Isaacson KG, Thom AR, Horner K, Whaites E (2015) Guidelines for the use of radiographs in clinical orthodontics. British Orthodontic Society pp. 1-28. Canut J, Arias S (1999) A long-term evaluation of treated Class II division 2 malocclusions: a retrospective study model analysis. Eur J Orthod 21(4): 377-386. Ong HB, Woods MG (2001) An Occlusal and Cephalometric Analysis of Maxillary First and Second Premolar Extraction Effects. Angle Orthod 71(2): 90-102. Goutham B, Anisha K, Raja S (2011) A Comparative Evaluation of Arch Width Changes In Extraction And Non-Extraction Cases. 2(6): 11-18. Kahl-Nieke B, Fischbach H, Schwarze CW (1996) Treatment and postretention changes in dental arch width dimensions--a long-term evaluation of influencing cofactors. Am J Orthod Dento facial Orthop 109(4): 368-378. Bishara SE, Ortho D, Jakobsen JR, Treder J, Nowak A (1997) Arch width changes from 6 weeks to 45 years of age. Am J Orthod Dentofac Orthop 111(4): 401-409. Ahn JH, Bae KH, Park YJ, Hong RK, Nam JH, et al. (2010) Assessment of antero-posterior skeletal relationships in adult Korean patients in the natural head position and centric relation. Korean J Orthod 40(6): 421- 431. Guirro WJG, Freitas KMS, Janson G, de Freitas MR, Quaglio CL (2015) Maxillary anterior alignment stability in Class I and Class II malocclusions treated with or without extraction. Angle Orthod 86(1): 3-9. Singh DP, Garg AK, Singh SP, Nayak USK, Gupta M (2014) Comparison of the dental arch changes in patients with different malocclusions. Indian J Dent Res 25(5): 623-629. Almeida MA, Phillips C, Kula KTC (1995) Stability of the palatal rugae as landmarks for analysis of Dental casts. Angle Orthodont 65(1): 43-48. Bailey LJ, Esmailnejad A, Almeida MA (1996) Stability of the palatal rugae as landmarks for analysis of dental casts in extraction and non extraction cases. Angle Orthod 66(1): 73-78. Pateria AH, Thakkar K (2011) Palatal rugae a stable landmark-A comparison between pre and post orthodontic patients. Int J Dent Clin ©International J Dent Clin 3(4): 9-12. Stellzig A, Basdra EK, Kube C, Komposch G (1999) Extraction therapy in patients with Class II/2 malocclusion. J Orofac Orthop 60(1): 39-52. Albandar J, Rise J (1986) Radiographic quantification of alveolar bone level changes. J Clin Periodontol 13(3): 195-200. Harris EF, Baker WC (1990) Loss of root length and crestal bone height before and during treatment in adolescent and adult orthodontic patients. Am J Orthod Dentofacial Orthop 98(5): 463-9. Johnson Kc (1977) Cases Six Years Postretention. Angle Orthod 47(3): 210-221. Heiser W, Niederwanger A, Bancher B, Bittermann G, Neunteufel N, et al. (2004) Three- dimensional dental arch and palatal form changes after extraction and non extraction treatment. Part 1. Arch length and area. Am J Orthod Dentofacial Orthop 126(1): 71-81. Heiser W, Niederwanger A, Bancher B, Bittermann G, Neunteufel N, et al. (2004) Three- dimensional dental arch and palatal form changes after extraction and non extraction treatment. Part 2. Palatal volume and height. Am J Orthod Dentofac Orthop 126(1): 82-90. Sangcharearn Y, Ho C (2007) Maxillary incisor angulation and its effect on molar relationships. Angle Orthod 77(2): 221-225. Tadic N, Woods MG (2007) Incisal and soft tissue effects of maxillary premolar extraction in class II treatment. Angle Orthod 77(5): 808-816. Sangcharearn Y, Ho C (2007) Effect of incisor angulation on overjet and overbite in class II camouflage treatment: A typodont study. Angle Orthod 77(6): 1011-1018.